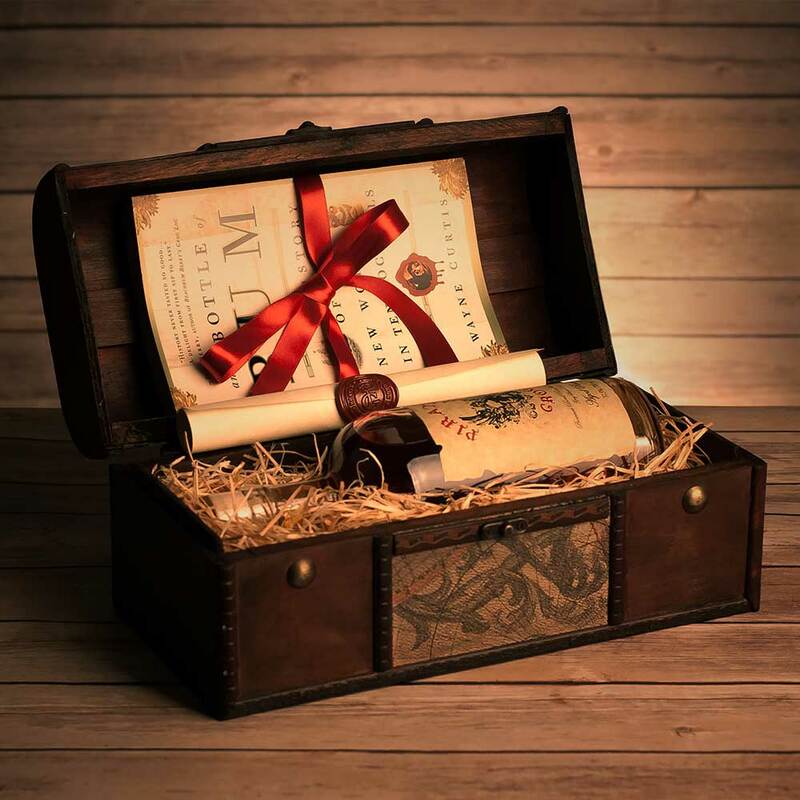 Pirate’s Grog Gift Chest is a treasure trove of rum related booty. 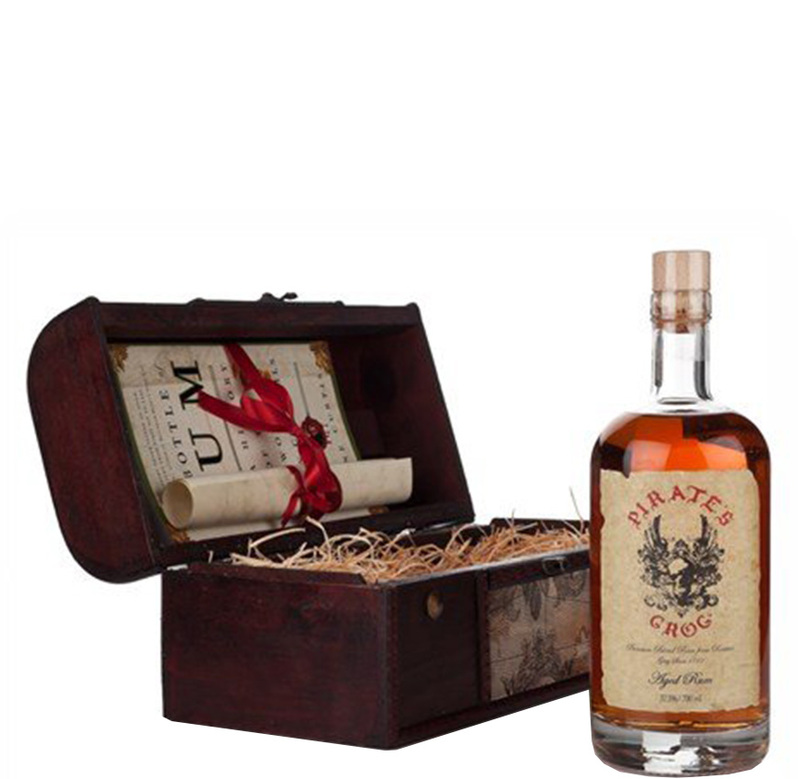 The only rum to be exported out of Honduras, Pirate’s Grog is a fantastic addition to the rum category. 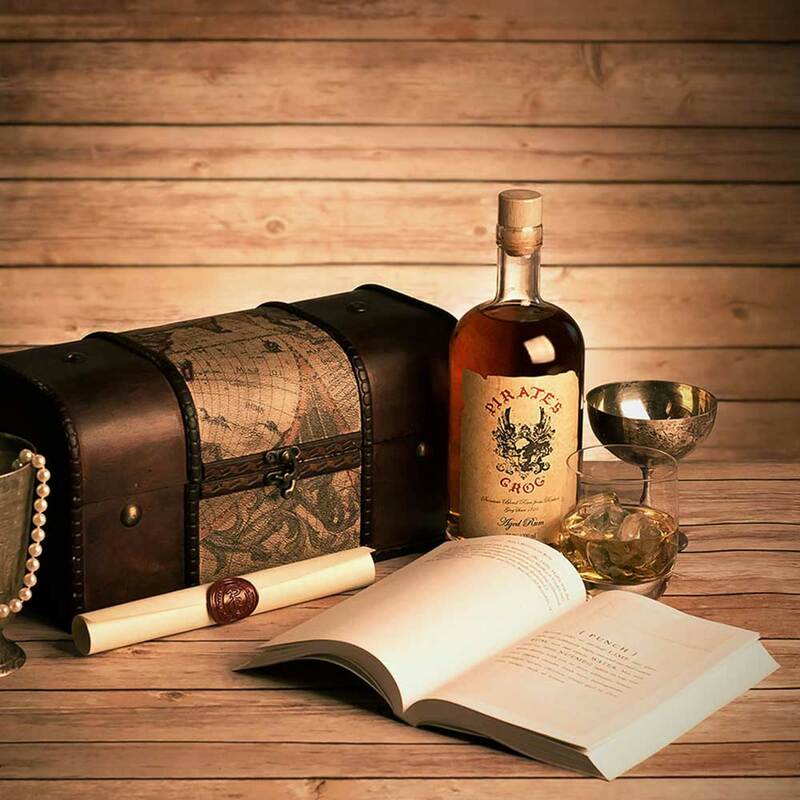 The rum is Aged in American oak, bourbon barrels for five years before being blended in small batches on the Caribbean island of Roatán (which is famed for its pirate history), Pirate's Grog rum is perfectly smooth with rich flavours of vanilla, butterscotch and raisin. Excellent on the rocks, or with ginger ale and lime, this brilliant gift set contains a printed treasure chest, 70cl bottle of Pirate's Grog and the book 'And A Bottle Of Rum' by Wayne Curtis, which tells the raucously entertaining story of life on the rich and often dangerous shores of Caribbean Islands during the 1700s.